Parking is available below the surgery in the multi-storey Delamere Street car park. There are two levels of Council-run parking beneath the surgery building (Levels -2 and -3). There is a concessionary rate for patients who have an appointment in the Practice. The parking concession is £1 for up to 2 hours. There are a number of disabled parking spaces on both levels of the car park, however they are not free. For information on where blue badge holders can park for free, please contact the Council. There is a free pull in bay at the front of the building. You may park here for collection of prescription and other short trips only. DO NOT park here if you have an appointment as you may be given a parking ticket, if you park here any longer than 10 minutes. When you drive into the car park, obtain a ticket from the GREEN ticket machine, this is specifically for medical centre patients. Once you have had your appointment, you must have your ticket validated by any reception. 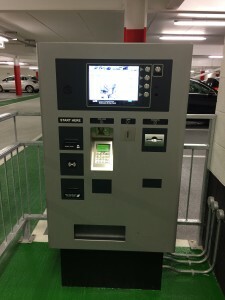 Please note that you only have 20 minutes to pay and exit the car park once your ticket has been validated. If you require to fill a prescription at the pharmacy in the centre, then please do this first and have your ticket validated at the pharmacy. Please do not arrive too early for your appointment as you may be charged the full rate if you exceed two hours. Fountains Health is very close to the bus station and numerous bus stops. For more information on bus routes and timetables please visit www.cheshirewestandchester.gov.uk and choose 'Bus timetables' or alternatively this information will be available from the local bus station. Do you have difficulty with transport to and from the surgery? There are various Community Transport Schemes in place in the Chester area. Further information is available from Cheshire West and Chester Council on 0300 123 7039, or alternatively please visit www.cheshirewestandchester.gov.uk. This scheme is operated in the Chester and Malpas area, and is run by Cheshire Community Action. It is available to people who do not have access to private transport and are unable to use public transport to make their journey. There is a a small charge to use this service. To use this service you need to be a member of the car scheme. Please call 01606 350042 for further information on this service and becoming a member. This is a door-to-door minibus service for people with mobility problems who cannot access public transport. For bookings, registrations and general enquiries please call 0151 357 4420.